With its eye-catching design, this stainless steel KitchenAid kettle will certainly leave a lasting impression in your kitchen. 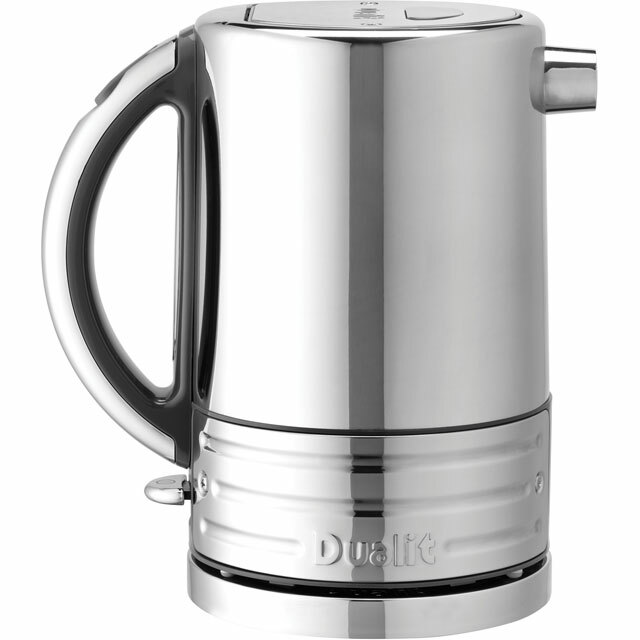 It has a 1.25 litre capacity, which means it can make up to 5 cups of tea or coffee. Thanks to rapid boil technology you’ll never have long to wait for your drinks, while the special non-drip design prevents any spills while you’re pouring them. This model also has boil dry protection, so you’ll never have to worry about switching it on without any water inside. And as it has a limescale filter too, you’ll always enjoy great-tasting drinks. Thanks for the great service and delivery options. 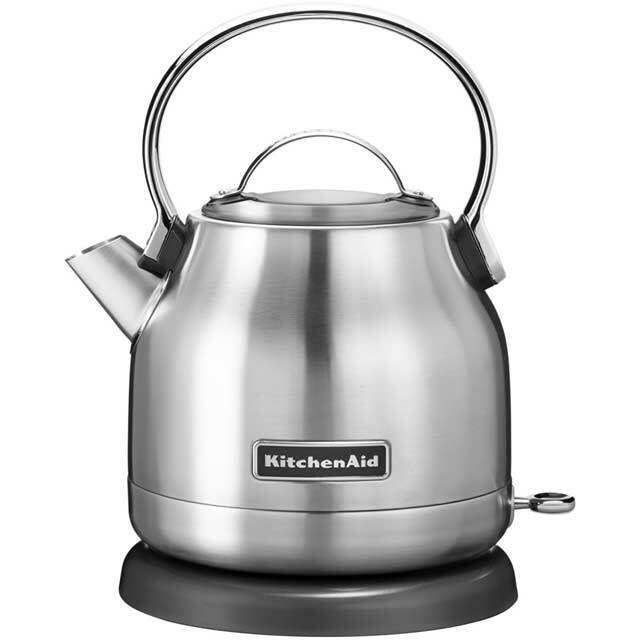 Kettle is great and is a nice addition to the kitchen Would recommend product without hesitation Will return to your site. I love the look of this kettle but if you’re used to a large capacity and quick boil this probably isn’t the kettle for you. I think I preferred my Russell Hobbs kettle which is still going strong after 18 years. I chose this kettle because it didn't have a plastic fill indicator which failed on my previous kettle. As this is made from one piece of stainless steel I expect it to last. 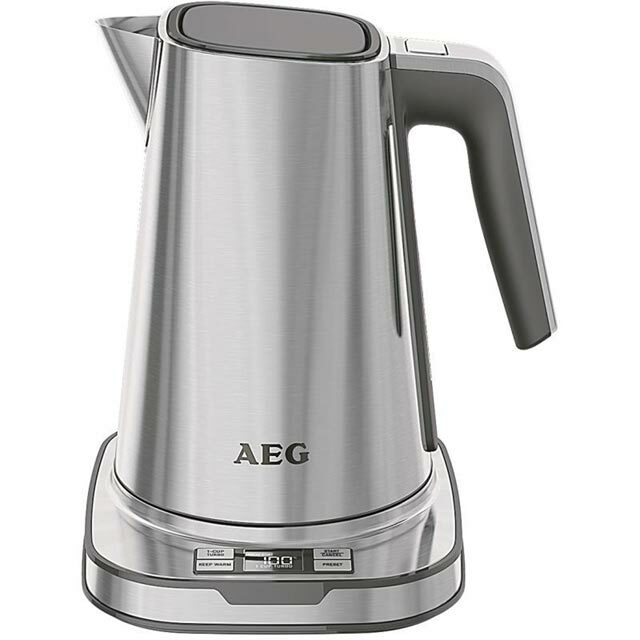 It is 1.5l capacity - which makes the kettle look small, but it is more than big enough for 4-5 cups of tea and it fits on the counter perfectly and unobtrusively. The good: - Solid handle (which is aluminium to keep cool - it does!). - Comfortable to pour. - It looks good. The bad: It is a shame that the metal limescale filter is clipped on by plastic - I wish it was all stainless steel inside for longevity and to avoid health issues associated with plastic. 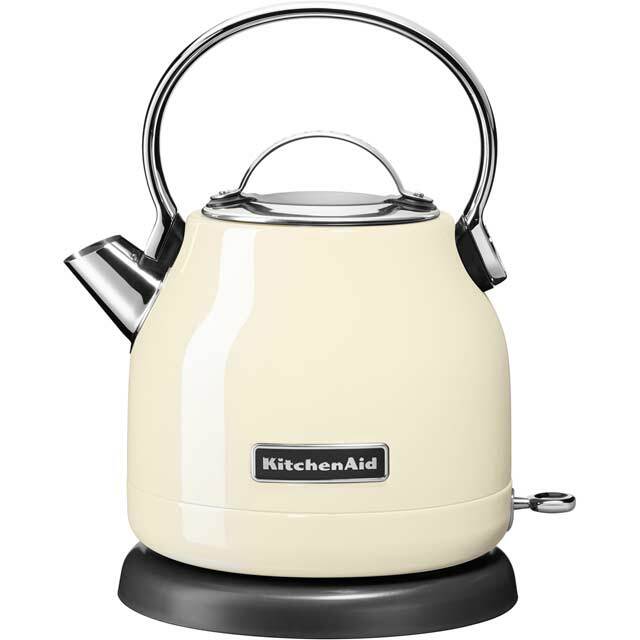 Having had plenty of kettles in the past, we were pleased the simple yet stylish design of the KitchenAid dome. Unlike many other kettles it is not so large and intrusive, yet is fine for making a round of cups of tea and everyday use for a family of four. Nicely finished in steel with a nice proportions, I would recommend to others. This kettle looks great! Very quick rapid boil and not particularly noisy. Easy to clean ( I ordered the stainless steel version) I would recommend. Lovely looking kettle. Holds more water than expected for its compact size. Easy to fill, fast boiler and a nice pourer. Make sure you boil it a few times before making tea to get rid of the new taste.